Classical Soprano, Alexandra Hazard first performed on stage from a very early age; training in singing, dancing and acting. She has been involved in a variety of performances including concert works, theatrical plays, devised theatre, musicals, operetta and opera, as well as performing numerous solo recitals. 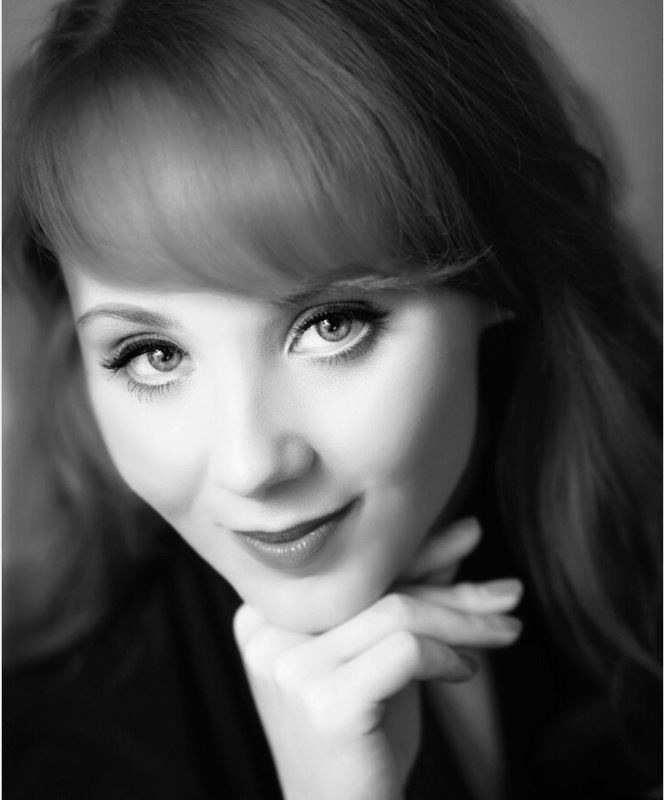 In July 2012 she graduated from The University of Hull with a BA (Hons) Music & Theatre degree after studying with Sarah Rhodes AGSM and continued her classical vocal training with her, alongside Sarah Potts LTCL MISM and Lynne Wayman LRAM ARCM following her undergraduate degree. During her final year at university, Alexandra performed various principal roles and also appeared as guest soloist with Hull Philharmonic Orchestra at Hull City Hall. Alexandra grew up with choral music which continued throughout her university life. She has previously sung with The Nottingham Harmonic Choir, performing numerous major concert works throughout the year; including Handel’s Messiah, Elgar’s The Dream of Gerontius and Elgar’s The Music Makers with The Hallé- conducted by Sir Mark Elder. As an oratorio soloist, Alexandra most recently sang the soprano solo in Mozart’s Requiem with Chipping Campden Festival Chorus. Following university, local company, Trent Opera, was a particular influence in her early career. With this company she was encouraged to sing as part of the chorus in a UK tour of Gilbert & Sullivan’s HMS Pinafore and The Mikado; performing in major concert halls in London, Glasgow, Edinburgh, Birmingham and Manchester with a principal company of professionals as part of Raymond Gubbay productions. Following this, Alexandra was offered principal stage roles at the Buxton and Harrogate International Festivals for a number of years where her performances were credited by acclaimed adjudicators. Glittering reviews shortly followed in 2015 when Alexandra sang the role of Yum-Yum in The Mikado as part of The People’s Theatre Company at Nottingham Arts Theatre. Alexandra began her studies at Trinity Laban Conservatoire of Music & Dance in the autumn of 2015 under the tutelage of Professor Teresa Cahill LRAM AGSM and Helen Yorke. Opera scenes roles have included Virtú in Monteverdi’s L’incoronazione di Poppea, Dorinda in Handel’s Orlando and also involvement in performances of Tchaikovsky’s Eugene Onegin and Poulenc’s Dialogues des Carmélites, all at Blackheath Halls, London. Alexandra was then cast in Trinity’s summer opera Banished, a commissioned work by composer Stephen McNeff, based on Steve Gooch’s play Female Transport. The piece, directed by Elaine Kidd and conducted by Jessica Cottis, ignited a new love in Alexandra for contemporary opera. Alexandra was thrilled to make her debut with The National Gilbert & Sullivan Opera Company in 2016 to fabulous reviews. She also sang as a soloist in the Opening Gala Concert for the annual Harrogate Festival at Harrogate Royal Hall with full orchestra, conducted by David Steadman. Alexandra started her second year of Post Graduate study at Trinity Laban Conservatoire of Music & Dance in September 2016 as a Kathleen Roberts Vocal Scholar. Opera roles included Pamina in Mozart’s Die Zauberflöte and Echo in Strauss’ Ariadne auf Naxos. Alexandra was also privileged enough to be selected to sing in a masterclass and concert lead by the Jette Parker Young Artists from the Royal Opera House under the supervision of David Gowland. She renewed her contract with The National Gilbert & Sullivan Opera Company in 2017 and returned for their summer season in 2018. Since graduating from Trinity Laban, Alexandra appeared in Stephen McNeff’s world premiere of The Burning Boy and more recently took the lead role of Maria in Leonard Bernstein’s West Side Story at Buxton Opera House under the direction of Paul Kerryson and musical director Mark Goggins to much acclaim. Her latest engagement was making her debut with Opera Anywhere in October 2018 playing the role of Edith in The Pirates of Penzance.